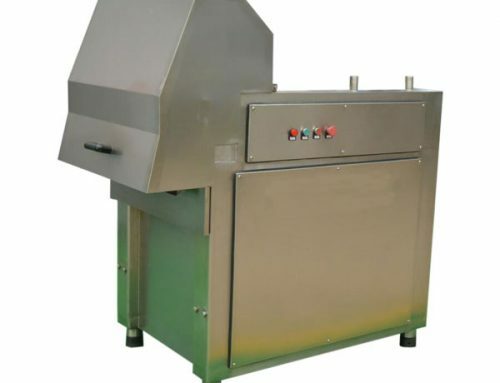 Meat cutting machine is mainly used for cutting meat into slices, strips, and meat stuffing. The cutting parts adopt two rotating blades to become cross-cut cutting. 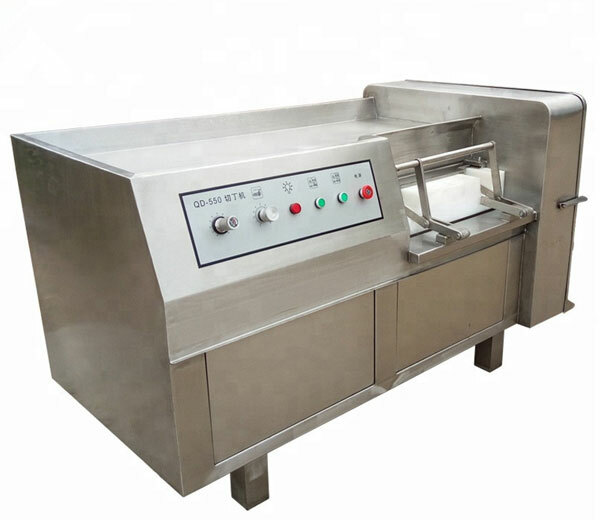 Meat cutter grinder is ideal equipment for restaurant, tavern, individual household processing plant, frozen and fresh meat market, meat processing industry, etc. 1. 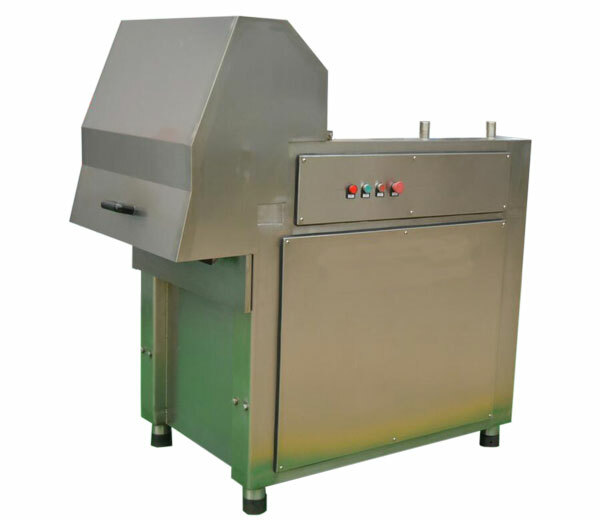 This ground meat machine is made of advanced quality stainless steel, up to the standard of food hygiene. 2. The meat cut by the meat grinder slicer is of uniform thickness. 3. 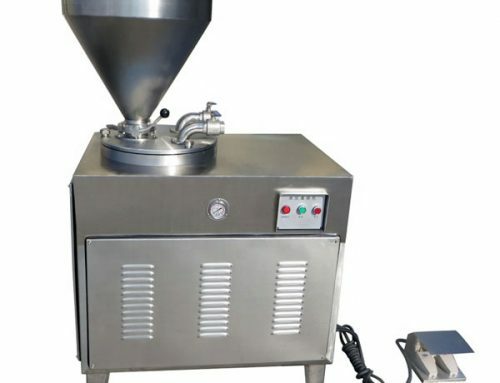 Long-life service, anti-corrosive, avirulent and harmless. 4. 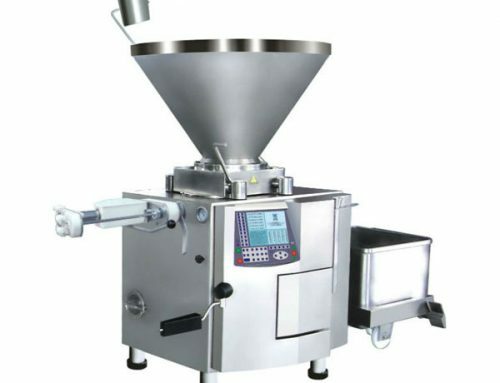 Simple and easy to operate, convenient to maintain. 5. 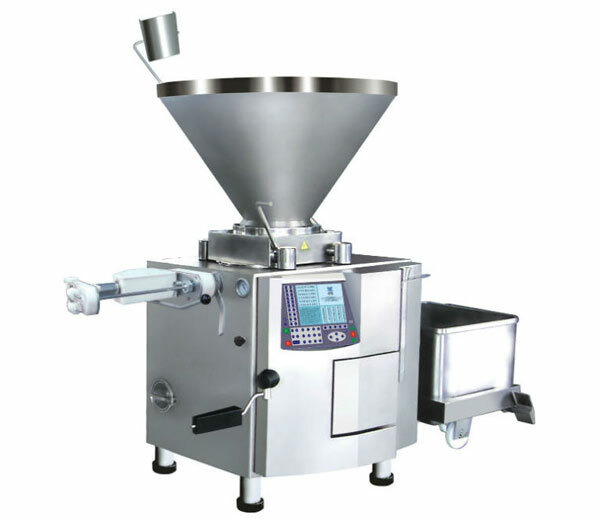 This meat mincer machine is safe, sanitation with high efficiency. 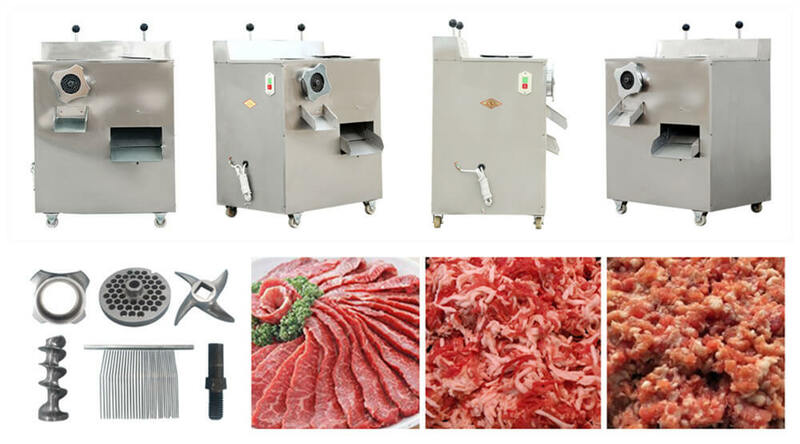 Meat cutting machine mainly consists of the machine frame, clutch fork, grinding meat parts, cutting meat parts, etc. 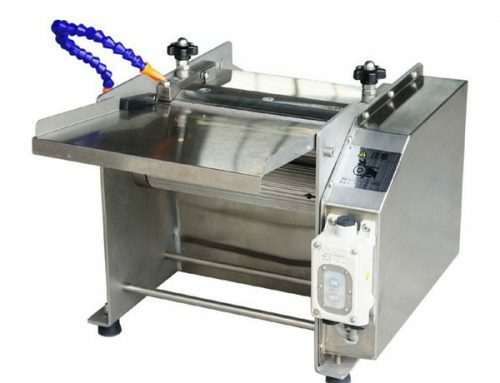 The cutting meat parts adopt two groups rotating blade to cross-cut, processing meat to slice shape and strip shape. The raw meat from feed inlet into the inside machine, meat stuffing was squeezed out from the mesh of the sword. 1. 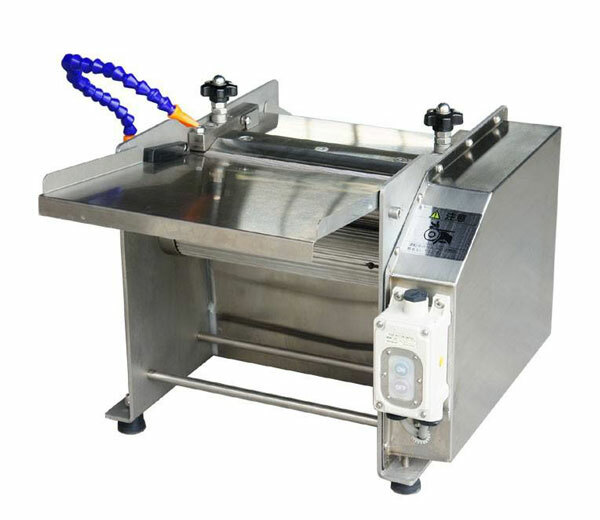 After every working time, use hot alkaline water washing cutter directly, but don’t use spraying pipe directly. 2. 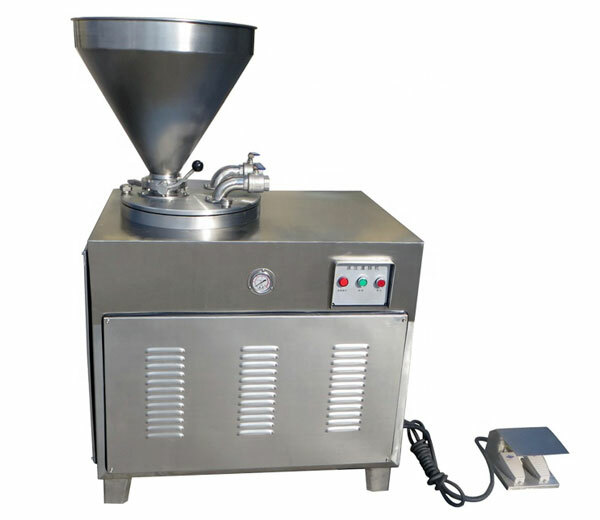 In the working process, if the operation sound is not normal, cut off the power and check up the machine. 3. Change grease every half year. 4. 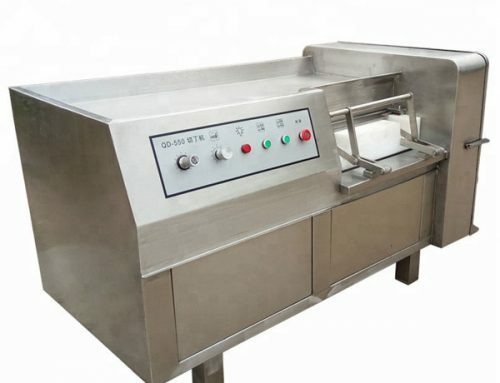 If the meat cutter grinder is not used for a long time, it should be stored in a dry condition. 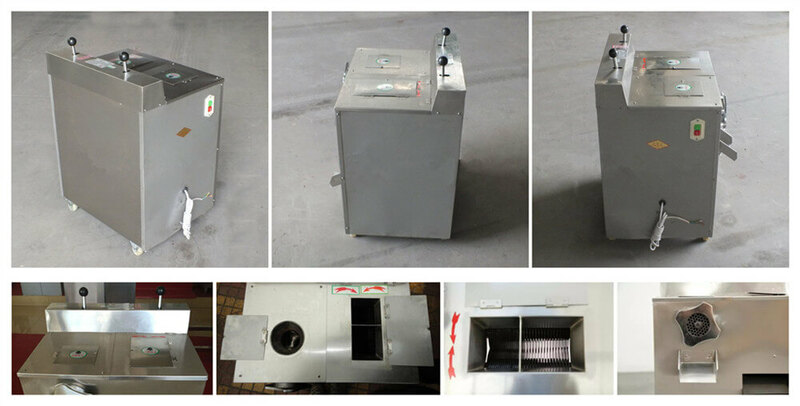 Don’t contact corrosive before damaging.